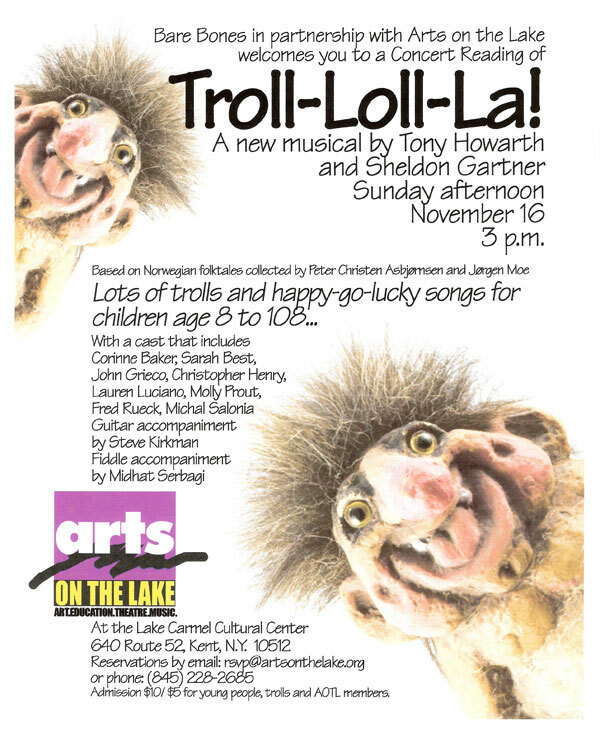 Arts on the Lake | Scrapbook - Troll-Loll-La! A concert reading of a full-length folk musical based on Norwegian folktales. Guitar accompaniment by Steve Kirkman. Fiddle accompaniment by Midhat Serbagi.